In high wind areas, many homes have protective storm shutters o protect exposed glass. However, even with storm shutters, many windows can get shattered windows, cracks and holes, broken panes or damaged frame. If your home has been hit by hail, high winds, tornado or tree damage give us a call. Remember a broken, shattered or missing window is dangerous, watch out for shards of glass and board up any shattered windows until they can be replaced. 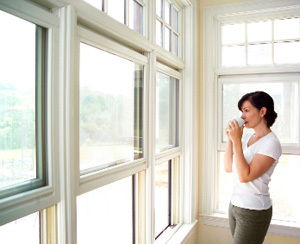 If you don’t have any damage but want to update your old windows there are benefits of getting replacement windows. Save Energy and protect your home. Many window offering provide for every feature desired such as aluminum or vinyl construction, an assortment of grid patterns and colors, tint in easy clean, screens and non-binding opening and closing mechanism. Installation process is non-invasive, neat, clean and quick.